The concept of "covenant" is a crucial component in understanding God and His actions throughout salvation history. 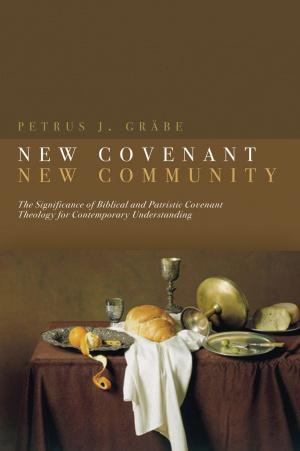 New Covenant, New Community looks at covenant in the Old and New Testament and makes a substantial contribution to biblical and theological studies in this area. It is an introduction to the covenant theology of the Old Testament, Second Temple Judaism, the New Testament, and the early Fathers, exploring the implications for contemporary theology. What are the elements of continuity and discontinuity in terms of the covenant concept between the Old and New Testaments? What are the implications of a biblical understanding of covenant for the community of faith-then and now? These are just a few of the many questions Grabe addresses in this far-reaching, wellresearched, and highly accessible study. New Covenant New Community by Petrus Grabe was published by Authentic in June 2005 and is our 54779th best seller. The ISBN for New Covenant New Community is 9781842272480. Be the first to review New Covenant New Community! Got a question? No problem! Just click here to ask us about New Covenant New Community.